UPDATE: While the following technique works, I recommend it only as an extreme measure. I now recommend following the techniques in Conditional Tags on the WordPress Codex. Use the is_category or one of the other conditional tag options to create a stylesheet or web page customization for the condition you wish to change such as having the sidebar only on the front page of the site and not on the single post pageviews, or having a blue background on the Apple category and the green background for the Orange category. This will serve you and maintain your site longer than the following example. I had a unique challenge. I needed to assign a specific stylesheet for only one category of blog posts in a WordPress blog. There are a lot of ways of doing this, but I wanted it to be fast and simple. I choose to use a WordPress conditional tag to check which category the blog post was in, and then change the header of the post to the one with the customized stylesheet for that particular category. My very popular series on CSS Experiments in Design consists of almost a dozen pages with hundreds of different design experiments. Most of these feature inline styles, but a lot of them had their own styles in a separate stylesheet. The stylesheet was huge. With about a thousand articles on my site, why should I include over 30K of styles in my site’s default style sheet when I only need them for a handful of articles? I needed a way to let the style sheet for the CSS Experiment pages only appear on those web pages and not the rest of the site. This is one method. In Using WordPress Categories to Style Posts, guest blogger, Abhijit Nadgouda of ifacethoughts, explains a similar method that might be easier for some. show the single page with these styles added. By default usage, the WordPress Template Hierarchy states that when you click a link to a single post page, WordPress will automatically look for the single.php template file and if it doesn’t find it, it will look for the index.php and return the information in there for displaying a single post. The process began by making two back up copies of the single.php page called single1.php and single.2.php. Check the post. If the post is in category ID number 9, display single2.php. If not in category ID number 9, display single1.php. In the in_category(), we set the category ID number to 9, the one that holds all of my web page design articles and experiments. When the user visits any post within that specific category, the custom stylesheet is used for those blog posts. Since I don’t want to change these two different single post templates, just add the additional style sheet to the second one, I created two header template files, exact copies like with the single.php, with an extra style sheet link in the top of the second one. If I see “single 2” then something is wrong. Then I clicked on a single post IN category 9 and did the same thing. There I should see the comment that this is indeed “single 2” and the two style sheet links should be in the header as proof that everything is done right. There are many ways of doing this, as the PHP and conditional tags and template files used by WordPress are so versatile, but this was very easy to do for someone who is lacking in much PHP skill, though I’m learning the hard way. From this, you can make as many single post page looks as you want, as long as they are styled by their category. Here are some other resources that will help you with WordPress queries and the WordPress Loop, as well as developing, designing, and customizing your WordPress Theme. This entry was written by Lorelle VanFossen and posted on September 22, 2005 at 8:34 am and filed under WordPress, WordPress Themes, WordPress Tips with tags wordpress, WordPress Themes, WordPress Tips. Bookmark the permalink. Follow any comments here with the RSS feed for this post. Post a comment or leave a trackback: Trackback URL. in_category() and did some strange things to get the different customized posts. I have to rewrite lots of pages soon, since this is faster. Just thought I’d drop you a line to say, this WordPress article really saved my bacon on the appropriate commands for issuing a second call to a different header file to the WordPress hard-coded one. Very, very appreciated, easy to understand, the code samples in particular came in very handy. Ahh, if only all tutorials were like this one. Keep up the good work! Thanks for the helpful tutorial. This is exactly what I was trying to do, and couldn’t figure out how to have more than one header file. Thank you for the article and it really saved my day. Just small remark I believe there are some missing closing braces or curly brackets before each elseif in the second php post query. Great blog and thanks again.:):):). I will keep coming to your blog and hopefully participate. Thanks. For two years, no one noticed this. Thank you!!!! Perfect. This really helps with my twitter posts! Can u help me about what is page.php in wordpress. Please see WordPress Pages: Exploring the Pseudo-Static Pages of WordPress. The key is that one shows your posts, the chronological journey of your content, and the other doesn’t. It shows “facts” and information you want treated differently like your About, Contact, Events, etc. Pages with a capital P.
Thanks for this tip. I am using it to display one of two different sidebars, depending upon the post category. Initially the code didn’t work for me–I had to change “in_category” to “is_category.” Now it works like a charm! Thanks for all your great articles. 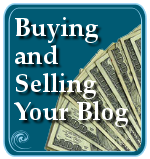 Your blog is on my WP hot list now! Interesting. There are two Conditional Tags in WordPress that deal with categories: in_category and is_category. The first one asks if this “is the category” and then responds accordingly with the command. The second one asks if the post is “in the category” and responds. This worked for me in older versions of WordPress and I will be running new tests on this code in new versions soon, so I’ll double check that. Either one should work in this instance but I’ll look into this more. Thanks! Thanks for your reply. As I am still trying to work this out I am having mixed results with both methods. Part of the problem may be that I am trying to use two separate post sections and create sidebars that only pull up items for the separate areas. To do this I’ve created two large categories, let’s say a “Blog” category & a “Reviews” category, then put everything else in subcategories of Blog or Reviews. The test site resembles a traditional static site, with mostly static pages (including a static homepage), and includes these two separate posting categories as pseudo-pages. It’s a bit of a stretch given my rather limited ability with WP, but I’d really like to make it work as I think the project has potential. Just remember, you don’t have to break the wheel to invent the wheel. Forcing a blog into a “traditional” static website defeats the benefits of a blog. And too many bloggers and designers put too much emphasis on the front page when people land most on single post pages. Good luck, but consider going forward instead of backwards in your web design. Your observations are very much appreciated. 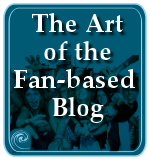 The site I’m creating isn’t a blog per se–it has blog-like elements, but it’s primary purpose is not as a blog. 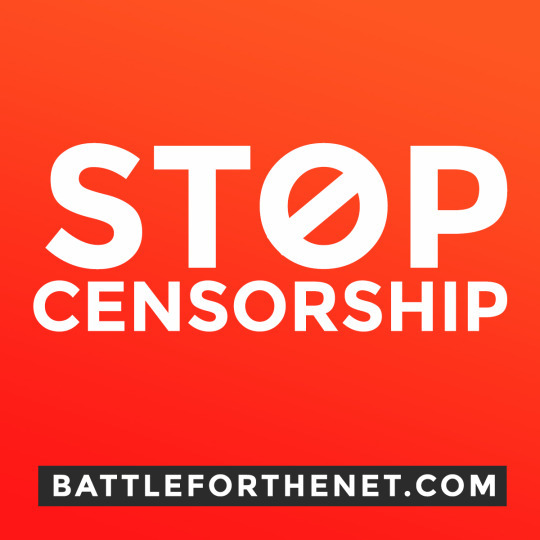 Whether or not the site has a static front page isn’t the issue I’m terribly invested in, anyway. What I’m looking for is a way to use WP to deal with a certain amount of a site’s information dynamically without having everything dumped into one big “blog bucket.” Perhaps I AM breaking the wheel here–I like to think of it more as exploring the possibilities of WP as it can be combined with/adapted to more traditional website structure. See the comments in trackback No. 1, above–what I’m looking for is very similar to what that person is describing. I actually have two clients right now who want to utilize a “separate but equal” policy with a certain amount of their dynamic site content, and as I have been researching this I’ve found several other folks who are looking for exactly the same thing. So I see a need for this, at least with what I’m working on these days. What the trackback is talking about is common and explained here and in the WordPress Codex article on Conditional Tags, as well as elsewhere in the Codex, the online manual for WordPress users. You’ll find it is a very common usage, if what they describe is what you are looking for. Good luck with it and let me know how it turns out. Lorelle, thank you so much for clearly and concisely describing the problem and solution. I just began working with WP on a pro-bono project for a local charity, so I am very interested in quick and elegant solutions to minimize my non-billable hours. I am very thankful to have found your site. I easily implemented your suggestions to produce a consistent interface for single posts, by specific category. This was done in conjunction with specific page templates and sidebar templates, in order to present a consistent interface for each type of category. I used this technique and accomplished exactly what I needed. It’s super handy for calling alternate pages outside of The Loop. But it didn’t seem to work. Is there a way to call multiple categories using this technique? Any tips would be greatly appreciated! The examples for how to use multiple in_category examples is found on the WordPress Codex Template Tags in_category article. Can permalink structure be set to load without the default “archive” without throwing everything off? See Using Permalinks for more information on this, and if you are using the latest version of WordPress, it now features automatic URL redirects to redirect content around if you change your permalink structure. Thanks for this article. I couldn’t for the life of me figure out how to display different comment pages. So instead of using it for the single.php, I’m using it for the comments.php. Some of my categories I have set up for reviews and this works great for giving a different look based on category id. Also, in the future when posting code in comments and blog posts, please read Writing and Publishing Code in Your WordPress Blog Posts for tips. Hi Lorelle! I’d like to go a step further, and apply a different template to posts in a specific category. So, for every post in the “experts” category (category 6), I’d like the template used to display just one post, and none of the usual metadata or the comment form. I first tried to create a category-6.php file, but that’s only called when I click on the “experts” category; the posts themselves come up under the usual single.php template. How can I make all posts in a given category display in a given template?? Has anyone encountered pagination problems when using this technique? I had pagination problems when excluding some categories from my “index.php”. The pagination simply disappeared. I solved the problem by commenting out the old “wp-pagenavi” code in my “functions.php” and installing it as a plugin instead. Outstanding I have mods installed that made certain page like standard posts have items that should not have been there. With this work around it fixed the problem perfectly. thank you, i will try it on my blog, wordpress is really capable of doing everything! Thank you, thank you, thank you. Once again, you are my hero. and with the help of the category-9.php implementation everything is fine for single and categories I have unique presentation for my 2 major things of my site news and products the problem is how can I change the first page index.php in order to show differently news and products. This post was a LIFESAVER for me! Thank you so much! Thanks so much, this was super handy! Just what I needed and easy to implement. You should have seen the ridiculous code I was trying to use to generate the page with a jillion if/then conditionals for the category haha. Just exactly what I’ve been looking for. There’s a plugin that’s been out there for a while that does something similar… it allows you to create a custom single template for all posts within a specific category. It’s very easy to use. You can find it at http://guff.szub.net/2005/07/21/post-templates-by-category/. I’ve been using it for a long time now, and it works with the latest versions of wordpress (for me anyway). Thanks for this simple but usefull solution!! Fantastic post and solution. I had installed a plug-in to do this (which worked really nicely, incidentally). It would have been fine if I was the only user of the site, but it’s a shared CMS-like site and I’m certain some users would never remember to select the correct template. This nicely takes the choice out of the contributor’s hands and automates the whole process. Thank you and keep up the good work! 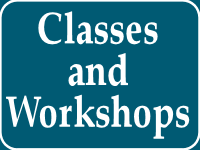 Try the body_class() and conditionals now people. Goood post though, prompted me to rethink what I was going to do. thanks so much… save my life! Thank you for the post.. it’s brought me so much closer to what I’m trying to achieve. I’ve been at this for days now and it’s driving me nuts.. I was wondering is there some way to make this apply to the multiple post display of a category? For example you say you have a category called NEWS, when somebody clicks on it, it shows the excerpts of all your posts. I want to change this page on my blog to show a different sidebar then all my other posts. I’ve been able to use your tutorial to change the single post’s sidebar but not the multiple post view of the category. Is there some php code to add? Or somewhere to look? You’re fix still came in helpful.. thanks! Thank you for the tutorial! What would the code look like if I wanted it for pages not posts? Where would I place the code? This is older tech so if your Theme is set up to use page names in the CSS for a top container like <body>, you can just add CSS for that page name. Thank you for your reply but I’m not sure what you mean. I’m not a programmer/designer but I can follow directions well if you can please help me. The issue: I places a slider code on my page.php because that’s what the set up required for it to work but there are some pages I don’t want the slider on, like the “about” page. How do I exclude the slider from the about me page or any other page I don’t want it on? I was trying to wrap my head around your tutorial so I could apply the concept to the “page” thing versus “post” scenario but I got in deep and needed a hand. Are you asking to hire me? 😀 You will have to contact the site and people who developed the slider code and follow their instructions. 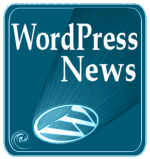 The WordPress Codex and WordPress Support Forums are great resources. Thank you for the offer. I offer a variety of training workshops and programs, traveling around the world to work with companies, but I do not offer individual training programs. My consultancy and training work is booked for the next several months. I understand your dilemma, which is why I run this blog, offering basic tutorials on WordPress and blogging. 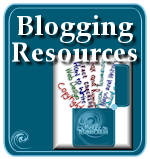 Please see Learning About Blogging and How to Blog for a basic start. 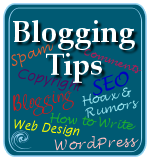 Also check out Darren Rowse on Problogger for some excellent advice on running a blog for your business. Thanks again. Thanks!! This simply helped me make those multiple single.php templates for posts in those categories. The article was immediately helpful and stated very eloquently. Great post! Took me a while digging around google but this helped a lot. What if I wanted to generate the same post twice? One full post and then the same post with a different url that is styled completely differently and just contains one piece of meta data from the original post. Any ideas of how I could go about this? Same post twice? I don’t understand, but I’m sure it is possible with a customized single.php or something like that with the template tags you desire in the WordPress loop. Help, the codes work fine however with my custom archive page, it doubles up on the content, it has the content that is customised then after it’ll show the same content as it would normally be shown?? Then you haven’t followed the instructions fully. This shouldn’t impact your posts as it just offers a switch to a different template file, not a change to the WordPress loop. Well I tried this method and after about an of going round and round I discovered that in a child theme you have to use STYLESHEETPATH. I still can’t get it to do what I want, but I at least found that out. What should I do if it’s a child category? You use the category ID number, which doesn’t care if it is a parent or child theme. And that made it default to single03. I thought I had it then, but it also stoppede using single02.php! I guess that’s because I did somthing wrong in the code. I think this time, I have it nailed. I got a bit of a nudge (i.e. the answer) from a WP Sitepoint forum. By changing the order so that the child category comes before the parent category in the list, it does what I want it to. I have no idea why of course, and would love to know but for now, I am really happy that it’s very close to what I want. Thanks for a neat tip. Don’t know why the order would change things relative to parent and child categories, but if it works for you, great. Thanks for letting me know. Well, I’m not much good with the code but the way I understood it was that if the parent category is looked for first, then the child of that parent will still go with that becuase it is still in that category. If the child category comes first then it will use that template before PHP works out who it’s Momma is! I don’t know what the comments review thing is supposed to do, but it should work in theory. Double check that all the code, parentheses, commas, apostrophes, are all correct. On problem, when i use Multiple Single Posts i have one white space on top screen ??? Can you help me to solve this ? Please contact the Plugin author for help. How would you go about doing this by taxonomy? You might not always want to use a custom template for a post just because it is categorized similarly. You use the conditional tags that include custom taxonomies and custom post types. Thank you. I’m not sure exactly what you are referring to though, I’m not able to use custom post types for this situation if that is what you are suggesting. I thought that was what you were talking about. I’m no unclear as to what you need, but check the Conditional Tags page on the WordPress Codex for a variety of examples that might help. I was trying to say that just because the subject of an article is the same as a category that you have a custom template setup for using the method you have shown above, it doesn’t always mean you want to use that template, but you still would like the article to be listed in that category of content for when people are searching through your site. I’ve since given up and switched to just doing everything by category anyways, but I do have another question if you could help me, I would like all child categories to share the same template. I’ve tried post_is_in_descendant_category function but that didn’t seem to work. If you would like an article to be in two categories, select the two categories. The above method is not required for that. It’s a WHOLE different method. I don’t recommend this except for very rare situations as the one I struggled with. If the method for child categories isn’t working, then use the conditional tags for each specific category name or ID number in a list within the conditional tag code. As I mentioned earlier, there are examples in the Codex. Someone on the WordPress Support Forum may be able to help you figure out what you might not have right in your code, too. Good luck with it. What method for child categories are you referring to? Conditional Tags: A Category Page and also check Function Reference/in category in WordPress Codex, and WordPress Loop: If Parent or Child of Page or Category. Thank you. Those pages only refer to ways of manually adding one child category at a time though, where I would like (if possible) to setup an automatic deal, so if a month from now I add a new type of food under my food category, it will automatically pick up the special food template also. cool but Can I have customize for category.php ? Using conditional tags, you can set the is_category query to anything you want or use the automatic template hierarchy feature and number your category template files to create custom category look and feel. Thank you. And i have one question. It’s possible show second template Single2. I thought I’d updated the article to reflect the latest in WordPress programming to do this in an easier fashion. Thank you for reminding me. Use the method described in Conditional Tags on the WordPress Codex to implement this easier. Thanks. Thank you so much for sharing this valuable information. It worked like a charm! YAY!